Luxury retailer Cartier recently launched a MySpace presence for its Love by Cartier campaign. 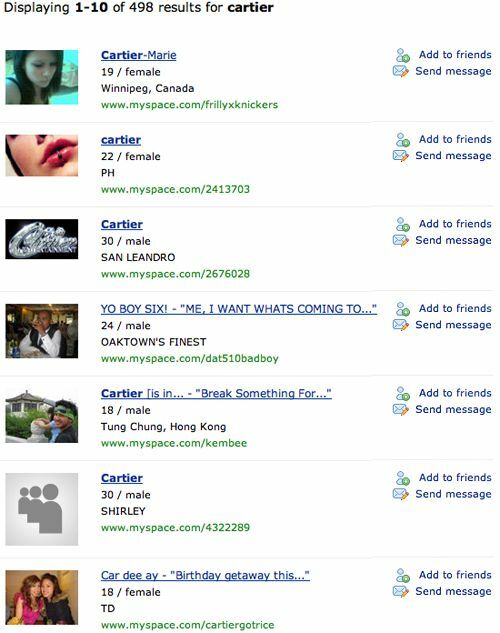 But it faces an interesting reputation management issue: since MySpace already has hundreds of profiles that use the name Cartier (it is a surname, after all). 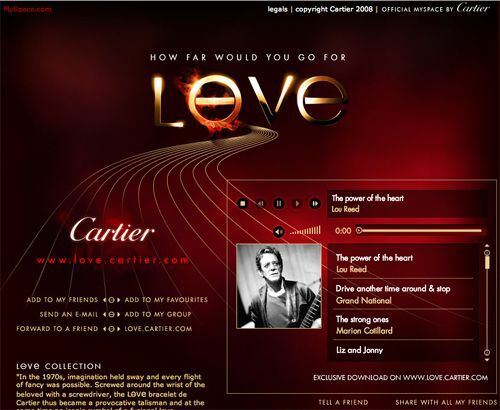 You have to type “Love By Cartier” in Google or MySpace to get the link to the Cartier MySpace page (at time of posting, algorithm changes or incoming links to Cartier’s page may change that). Though you can’t control how Google matches pages to the search term (duplicate content filter in action), you can build links to the page you want to rank well to help boost its “Page Rank” which may cause it to beat out other pages in the search engine’s index. 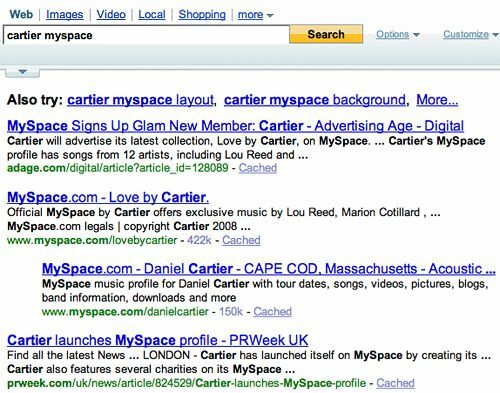 (If the search engine indexed 500+ pages from MySpace relevant to the term “Cartier”, it only picks 1 to show in search results, 2 if it uses an indented second result). 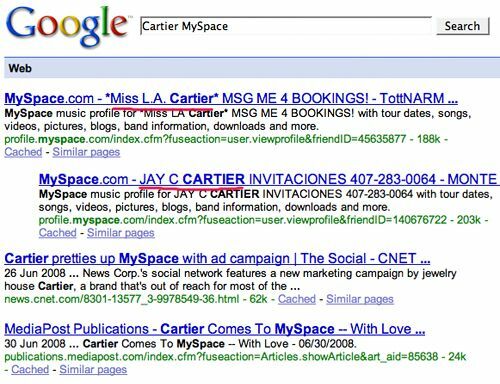 Cartier could also nag MySpace to tweak its internal search to rank its page tops for “Cartier” searches, especially since this is an advertising partnership between the two. This is also an example of why brands should really claim their social network profile names / domains / Facebook Pages and Groups proactively, even if they just sit on them. It’s easy for net citizens to beat you to the punch which makes it harder for you to be found in search engines and social network searches. Previous articleDoes Your Ecommerce Website Speak to Howsers? Shopping Cart Buttons: Who Is Testing?